Beware of the false doctrine propagated by some in the Hebrew Roots movement which denies that the Messiah, Yeshua, is deity. How could this happen? I can only guess some are so jaded from discovering all the falsehoods they were taught in the Constantinian Church system, like the Torah being done away with, they begin to suspect everything. But allow me to remind you, even a stopped clock is right twice a day. So in this article, a follow up to God In the Flesh, I will continue exploring the deity of Yeshua. Yeshua did not exist prior to his first century birth. The fact that he instructed Mary not to cling to him, for he had “not yet ascended to the Father,” did not simply indicate His function as our High Priest, who for purity reasons was not to be touched (defiled) prior to offering First Fruits, but proved, they claim, he was never in Heaven until after his resurrection. To diminish Yeshua’s Sonship, they compare it to Adam’s, the angels and even our own, for we are all called the sons of God. They ignore the pesky fact that Scripture tells us Yeshua is the “Only Begotten” Son of God, indicating that Yeshua came forth (was separated out of) the Father, and not simply formed into a likeness of God from clay. Instead, they like to stress Yeshua’s role as our older brother, who only “became perfect” (not always was) through suffering and keeping the Torah, just as we can. Citing James 1: 13, which says, “God cannot be tempted by evil,” as their proof text, they claim Yeshua, our High Priest, cannot be God in the flesh because he was tempted in every way, albeit without sin. Consistently pointing out Yeshua’s deflection to the Father, they deem worship, any worship, of Yeshua as sacrilege. Now every verse they cite is Scriptural, but I contend they are out of context. Focusing exclusively on Yeshua’s humanity, these false teachers ignore all the passages found throughout Scripture that describe the Sent One, who most reputable scholars recognize as the Messiah. He is the One who Philippians 2:6-7 describes as the One who, though being in the form of God, emptied Himself and took on flesh. They cherrie pick Scripture in an attempt to deny Messiah’s deity. This article will delve into a few of the passages in Scripture which reveal the Messiah’s deity. For, as Brad Scott is famous for pointing out, it’s not the verse before and after a passage that forms context. That is Greek thinking. In Hebrew understanding context is dependent on the entirety of Scripture. That being the case, let’s explore some amazing passages, starting with Isaiah 48:16, in which it can only be Yeshua who is speaking, for in verse 12 he identified himself as the first and the last. Then, in verse 16, after once again declaring his existence from the beginning, he says the Lord YHVH and His Spirit sent Him. The Father and Spirit sent the Son. Now let’s read it in the literal Translation. Who is speaking? Not Isaiah! Isaiah isn’t the First and the Last. Isaiah wasn’t “there from the beginning.” It’s Yeshua, the Sent One of Deuteronomy 18: 15-19, the Word of God in the flesh (John 1:1-3), who in the beginning was with God and was God, and through whom all things were made. Below are two amazing scriptures. In the first one, the Messiah is referred to as the Branch, and is said to be a “man” who will rebuild the (millennial) Temple described by Zechariah. But then, in the words of the prophet Jeremiah, we learn that this very same Branch will one day, in the future, when “Judah is saved” and “Israel dwells safely in the land” be called Yahweh Tsidqenu (Yahweh our Righteousness). And speak unto him, saying, Thus says the LORD of hosts, Behold the man whose name is The BRANCH; he shall grow up out of his place, and he shall build the temple of the LORD. Behold, the days come, saith the LORD, that I will raise unto David a righteous Branch, and a King shall reign and prosper, and shall execute judgment and justice in the earth. In his days Judah shall be saved, and Israel shall dwell safely: and this is his name whereby he shall be called, YHVH our RIGHTEOUSNESS. The Bible is crammed with glimpses of Yeshua’s deity that would take a book, not a mere article, to list . . . but here is one more. This act of worship will please the Father, Yahweh, the very One who declared (Isaiah 42:8) “I am Yahweh that is My name; and My glory I will not give to another.” Yet, Yahweh had no problem sharing His glory with Yeshua, even before the foundation of the world. Yeshua As Emanuel: God with us. Professor (of Talmud) Daniel Boyarin, an orthodox rabbi, who I mentioned in my previous article titled God In The Flesh, asserts in his groundbreaking book, “The Hebrew Gospels” that Yeshua’s most used self-description as the Son Of Man, attests to divinity, not humanity. Professor Boyarin listed the “crucial characteristics” of this younger figure, later named the Messiah: He is divine. He’s in human form. He is portrayed as a younger divinity than the Ancient of Days. He will be enthroned on high and given power, dominion, and sovereignty. All the same characteristics, Boyarin points out, attributed a century and a half later to the Messiah in the Gospels. Boyarin goes on to say that by the first century a.d., in many Jewish minds, that divine figure merged with the expectation of a returning Davidic-king. 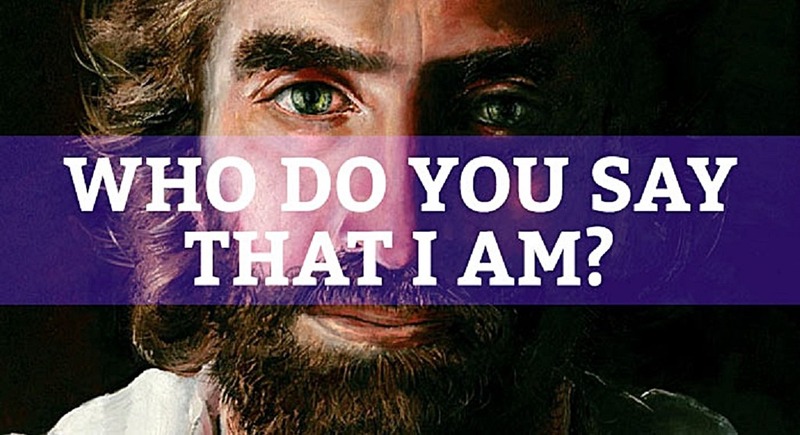 Which is why every time Yeshua referred to himself as “the son of man” Jews, who did not believe that Yeshua was this Son of Man, sought to stone him for blasphemy. But make no mistake, they understood the term “son of man” to refer to the promised divine yet human Messiah. This explains why John wrote, “By this you know the Spirit of God: every spirit that confesses that Yeshua Messiah has come in the flesh is from God.” (1John 4:2) And everyone who does not, is of the spirit of antichrist! Colossians 2:9 informs us that in the Messiah all the fullness of the deity dwells in bodily form, and that He is the head over every power and authority. Why does coming in the flesh depict divinity? Coming in the flesh, for ordinary, non-divine human beings, goes without saying. That Scripture tells us Yeshua came in the flesh indicates His deity. To claim otherwise would be as ridiculous as claiming the “sign” in Isaiah 7:14 was a young woman giving birth—not a virgin—when that birth will be a sign from the Lord. How could a young woman conceiving and giving birth be a sign? Young women conceive and give birth every day! Hundreds of times a day! But a virgin giving birth, now that is a miraculous sign from the Lord! When a fully human virgin overshadowed by the Holy Spirit conceives and bears a child, that One, according to Isaiah, will be called: Wonderful, Counselor, Mighty God, the Everlasting Father, and the Prince of Peace. That One, just like the Son of Man in Daniel’s night vision, will be given dominion, glory, and a kingdom that will never pass away. I could go on an on, fitting together puzzle pieces of Scripture, line upon line and precept upon precept to prove Yeshua’s deity. But Yeshua is NOT the Father! He is the ONLY BEGOTTEN SON of the FATHER, the express image who was sent by the Father, and is in perfect unity with the Father. Yeshua had to be both Deity and man to be the ONLY mediator between God (the Father) and man. That is why Scripture says he emptied Himself and took on flesh. His Oneness with the Father is expressed in Hebrew as echad, a compound unity. The Shema as a remez . . . The Shema itself, I believe, is a remez, a hint at the duality of the Godhead. “Hear, O Israel, Yahweh, our God, is Echad (a compound unity). “Hear, O Israel, there is “yachid” (one, as in singular) God. By taking on flesh Yeshua limited himself. Which is why He said it was better that he go away and send the Holy Spirit, for Yahweh is a Spirit, and His Holy Spirit is omnipresent. But Yeshua had to take on flesh in order to represent His Father to their Creation. And yes, I said “their” creation. For Scripture tells us in several places that without Yeshua was nothing made that was made. But Scripture also informs us, in 1 Corinthians 15:24-28, that only the Father, who subjected all things under His Son’s feet, is not subjected. And one day, after Yeshua has put all things under His feet, including death, He also will be in subjection to the Father—now pay attention, for this is quite interesting—so that God may be all in all. We see a “type and shadow” of the mystery of this compound unity (echad) in Genesis chapter one, when Elohim (the plural form of God) says: “Let us make man in our image,” and creates Adam, one man. But then what does God do? Out of Adam, God separates Eve. Then what does Elohim do? Elohim (Father and Son, existing at that time as the Word, for without Yeshua was nothing made that was made) instructs the two, Adam and Eve (formerly one) to come together, (become echad, a compound unity) in order to procreate. I will close with what Brad Scott so brilliantly elucidates about this mystery, which we see replayed in many forms throughout scripture, by his description of our DNA. Interpreting that verse in Job which says, “In my flesh, I will see God,” Scott takes Job’s declaration far beyond the remez level, which hints at the resurrection, into the “sod,” that mystical level. After reminding us that Elohim reveals Himself to His creation, through His creation, (Romans 1), he brilliantly likens the Father to our DNA, that blueprint of life in our body, which never leaves the nucleus of the cell (Heaven). Messenger RNA, an exact duplicate of the DNA, differing only in it’s role, for it is SENT out of the nucleus for the sole purpose of replicating DNA in the body, he likens to Yeshua, and thus, in our flesh, we see the revelation of God. Jesus is Son of GOD. He is Savior. He is only the way, true and life. I appreciate the affirmation and testimony of the echad nature of ????. It’s not “trinitarian” at all, contrary to the efforts of those who would split what by His own nature in echad.. In speaking with some of the Hebrew/Hebraic Roots movement, who say plainly that they do not believe Yeshua to be echad with the Father, I see a considerable obstinacy and blindness to the whole of Scripture. I follow the Way (cf. Acts 9:2 et al. ), and it’s been a struggle to deal with the camps that want to leverage the man-made traditions of xtianity over the 1st century CE assembly’s following of Messiah, while also steering clear of Talmudic influences that creep in from Orthodox Judaism. It really is a narrow way to walk, in order to stay on the straight path and not turn this-way-or-that, to follow man-made traditions. That’s precisely why Scripture and the truth of it is so very important for me, as its ability to cut through every argument is invaluable. And I would gain nothing from it without the Ruach haKodesh to guide me, as Messiah promised. I think, when Messiah return, as the prophets have said, there is going to be some house-cleaning going on and much setting straight of His own and a whole lot of teshuvah, not on only on the part of those who deny Who He Is but also on my part, because I don’t claim to know everything and am most certainly wrong on some things. “Moreover let ???????? be true, moreover every man a liar.” Amein and amein. I can’t believe that I somehow left out this incredible passage from Isaiah, so I will post it here: Isa 44:6 So says Jehovah, the King of Israel, and His redeemer Jehovah of Hosts; I am the first, and I am the last; and besides Me there is no God. Great article Christine. Yeshua also said “Your sins are forgiven” Only God can forgive sins not man and it is a point that should keep us in a clear understanding of Who Yeshua is! I should have included this in my article, but did not. So I will address it here. Scripture says,” God cannot be tempted.” And He can’t! But “cannot be tempted” is an idiomatic expression. It means God cannot “give into temptation.” It does not mean that Satan won’t try. Thus, Yeshua was tempted in every way, but without sin!